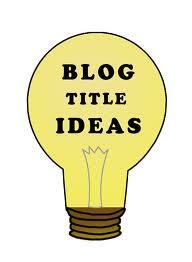 Are you a regular blogger and get out of ideas for your new blog article quickly. Many blogger have so much determination for writing a blog they put their best article in front or I would say first on the blog. Reader read the article you get much traffic for the few days then !!!!!! your mind is like this. No new idea for blog post coming up to you. Same Happen with me. For so long I keep on thinking for my new article what to write on. No new ideas came up to me for hours. Thinking about your blog will never get you any new ideas for your next article. Yes, your every new article is a new prop to get your blog going to touch success. Writing new article with everything you got is not good. Keep new idea to yourself and implement it to your next article. Read more on how to promote your blog in real world. For getting new ideas it’s a very simple technique which is adopted by many blog writers is that they visit other blog with the same niche that they are blogging about. This technique helps most of the new bloggers to take a strong step and write there first article and publish. New blogs even have similar article title as someone has already written on. Most of the new bloggers do a very silly mistake of copy past thing. They think that just copy and past will get their blog going which is not going to happen any time sooner or later. Read more on Writing Original Content . Reading Other blog of your niche help you get a forecast of what is going on in your Niche blogging area. Keeping a track of your Niche is the best thing you can do to get a successful blog. Thanks for reading the article hope you like it.